Political Theory - Habermas and Rawls: Companion to Nozick's "Anarchy, State, and Utopia"
Companion to Nozick's "Anarchy, State, and Utopia"
Robert Nozick's Anarchy, State, and Utopia (1974) is recognised as a classic of modern political philosophy. Along with John Rawls's A Theory of Justice (1971), it is widely credited with breathing new life into the discipline in the second half of the twentieth century. This Companion presents a balanced and comprehensive assessment of Nozick's contribution to political philosophy. 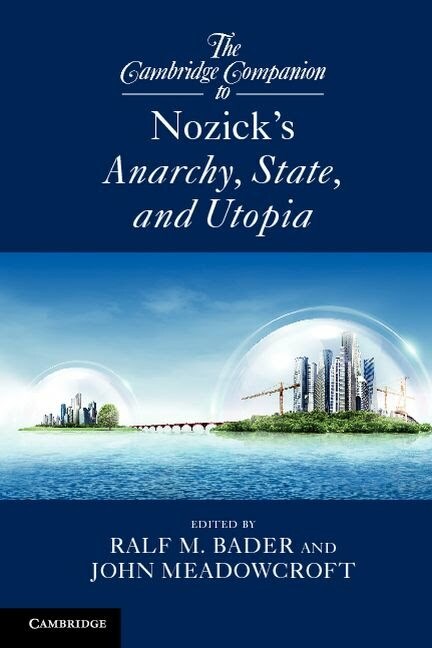 In engaging and accessible chapters, the contributors analyse Nozick's ideas from a variety of perspectives and explore neglected areas of the work such as his discussion of anarchism and his theory of utopia. Their detailed and illuminating picture of Anarchy, State, and Utopia, its impact and its enduring influence will be invaluable to students and scholars in both political philosophy and political theory. 11. E Pluribus Plurum – How to Fail to Get to Utopia in Spite of Really Trying - Chandran Kukathas [abstract]. Further information on the book here. John Meadowcroft is Lecturer in Public Policy at King's College London. He is the author of "James M. Buchanan" (Continuum, 2011).